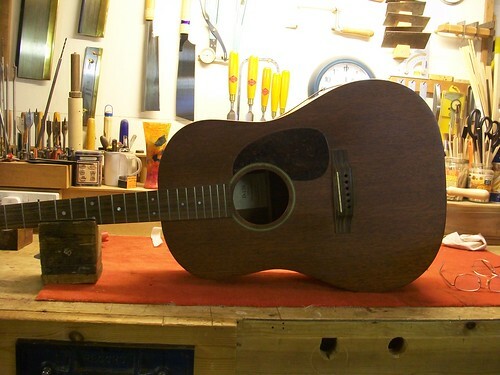 This Martin D 15S got into trouble on its way back from a festival. With an extreme break such as this the good news is it can be repaired. 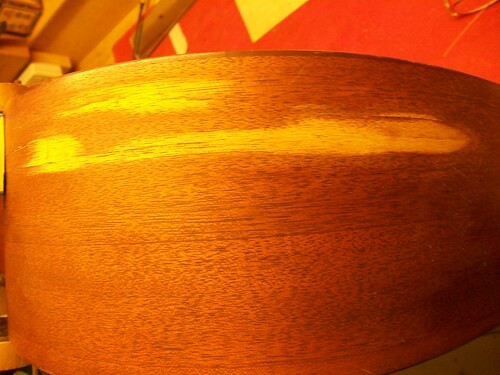 The bad news is that the repair will always be visible unless the complete rib is refinished. This can be very costly and, because of its “natural “finish, there is still no guarantee that the repair will not be seen. In this instant the owner is just happy to get the instrument up and working again and is not too bothered about the appearance. 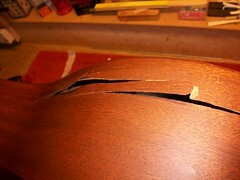 Firstly the break is gently opened up on the inside of the guitar. This separates the cracked parts and disentangles the loose sections enabling glue to reach into the extremities of the cracks. 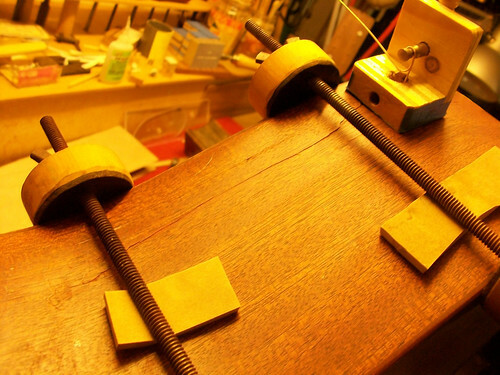 Once glue is eased into the cracks the inside of the rib is reinforced with sections of 1.5mm thickness plywood. The lamination within the 3-ply makes this a very tough but flexible choice capable of taking on the inner curve of the rib. 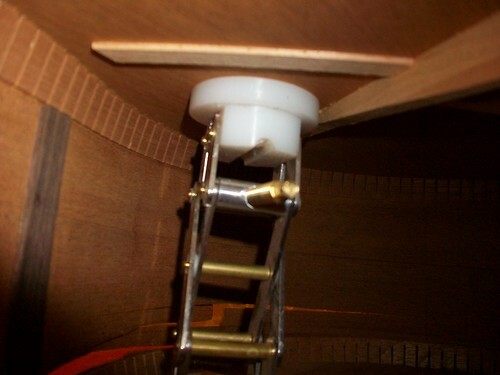 The ply is patched over the inside of the break and the guitar string is threaded up through a convenient crack. 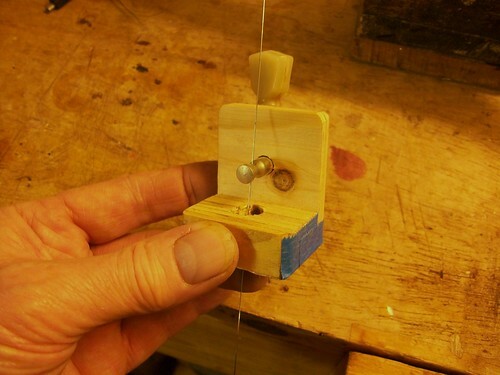 The string is then threaded onto the machine head and tightened. 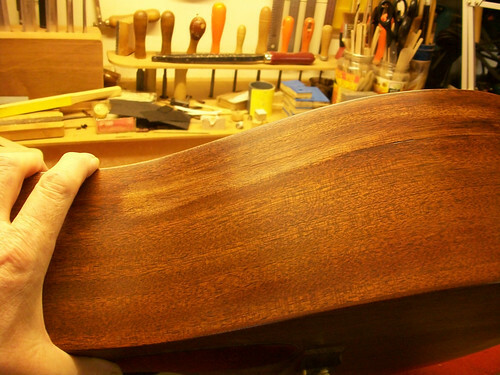 Once tightened the plywood patch takes on the inside curve of the rib and is held firmly against the break whilst the glue dries. 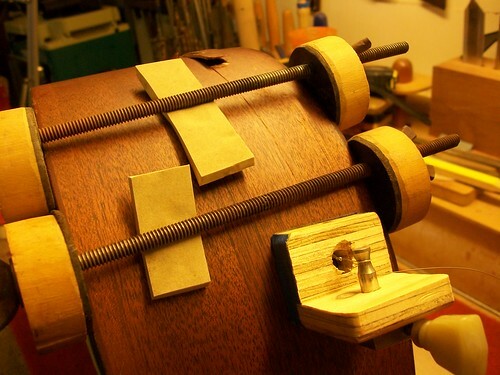 Due to the length of this particular break, it is decided to repair this rib in two parts. 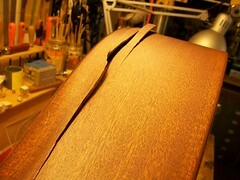 Once the glue has dried thoroughly the cracks are gently sanded and leveled. 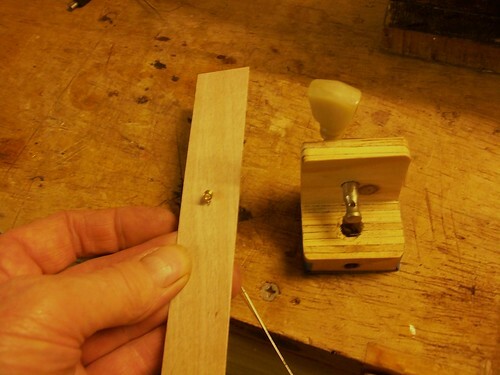 This inevitably removes some of the lacquer down to the bare wood. 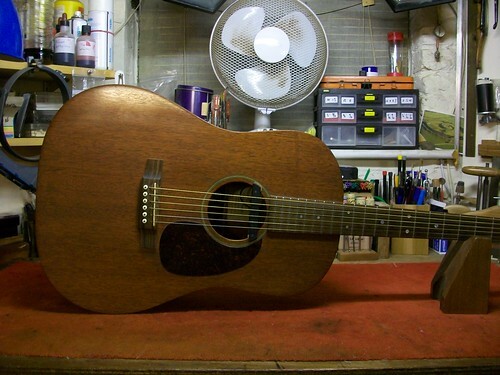 Thanks Rich, another fine guitar saved from the scrapheap! you are, Sir,a true wizard !